Thanks Twinbee. Found some of your motivation here just before you posted http://www.fractalforums.com/mandelbrot-and-julia-set/variety-of-the-mandelbrot-set/. Great stuff you are rendering.so i am definitely hooked. Catch up with you later. A deep zoom rendering of a certain spiral has been rendered too (featured on the 2nd page). If anyone here would like to change a featured pic of theirs, let me know. Equally, any comments, suggestions, or even criticism is welcome! 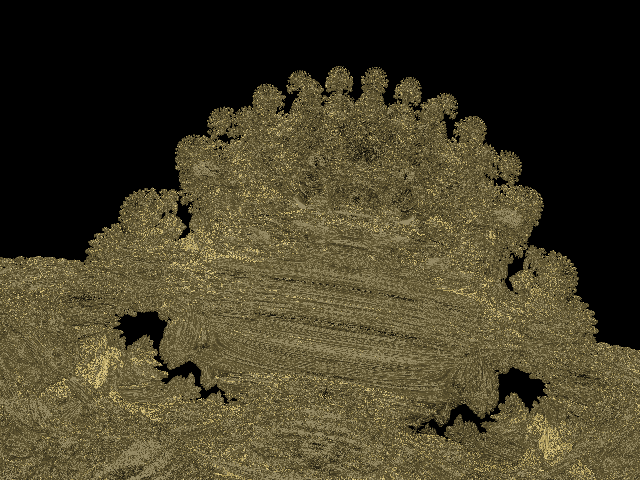 I have seen your website with article about 3D Mandelbrots. It is wonderful! You are the Master! Hi Daniel, very nice article. Apologies if it's already there, if it is I missed it. David, congrats about the contest! Link's down at the mo - I'll try again later. Garth, I've also added your latest. Thanks, and it's working again now (at least it is here). Just a suggestion - where you discuss the formula you could also mention Jos Leys' algorithm for accurate analytical DE for the formula (and related formulas such as Garth Thornton's variations and Rudy Rucker's formula). I've read the article. Great overview! As to the distance estimation formula that I'm using, it may still be buggy. I was looking at the large size pictures of the degree 8 and comparing to what I'm getting in my Ultrafractal routine. It seems that with my algorithm, the buds are on 'stalks', and I can see through them (see the images below). I think this might be a rendering error, but I have not figured it out yet..
Any comments from the rendering experts? Congratulations for this superb summary of the state-of-the-art. - In the 8-power monster, although the level of detail is infinite, I have the feeling that shapes do not vary as much as in the 2D M-set (2 or 8 power, it does not matter) when you zoom in. All is very self similar, and there is not such variery as you can find for example when you zoom near a minibrot in 2D. What do you think about that? - Although I have not much time to play with the maths (I could, because I did a lot of maths when I was younger, but I prefer the beauty of images rather than the beauty of equations) I would love to explore this fractal. I understand you developped your own program. 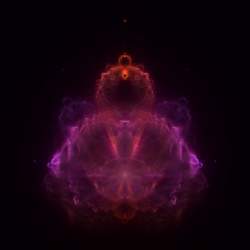 @David Makin (or anybody else) : do you use Ultrafractal for your beautiful images in this thread? If so, would you mind sharing the formula ? @David Makin (or anybody else) : do you use Ultrafractal for your beautiful images in this thread? If so, would you mind sharing the formula ? Am still working on the formula, so far I've only given Trifox a copy and he'll probably attest to the fact that it's not really ready for public release yet - I've still to sort out the parameters correctly, add more options and get all the options I've added so far as parameters working properly - I'm hoping to have a "release version" by the end of this week. Note that I didn't originally intend this formula for public release since I was just using it to fine-tune ideas for when I do a suite of class-based general ray-tracing formulas. Hi Jos, I'm confused by your renders, I seem to get the same results using your analytical method as I do with my delta method. Are those renders of the degree 8 ? Yes Dave, it is the degree 8. So you do not see the 'holes' with both methods, is that what you are saying? Hi Jos, no I definitely do not get the "holes" that you are getting, I suspect the problem is the one you mentioned to me previously where there are locations at which the analytical DE gets very large due to singularities in the derivative. Here's a quick render of the degree 8, "straight on" view but zoomed to a bud on the edge - I get no holes using your analytical method even with the threshold set very small at 1e-6. Note however that I am using the method of not stepping further at a given iteration depth on a given ray than was stepped previously at that depth on that ray *and using the array code that I sent you earlier* - I suspect your holes are due to more limited storage/checking of the step distances at iteration depth - see the code I sent you in the E-mail and see if that removes the holes.